Will it suit your operation and the size of your kitchen? Will it fit your budget? Is it easy to operate? Is it energy and water-efficient, and does it match with your electrical system? 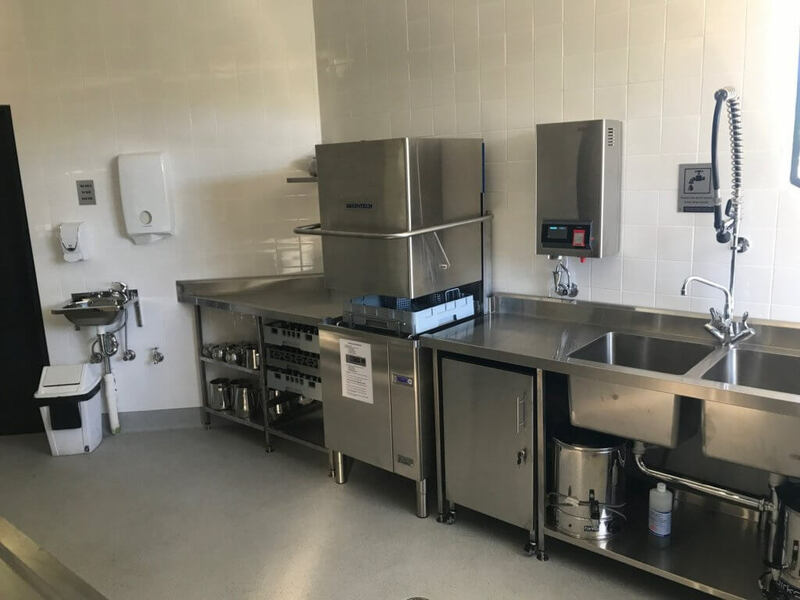 From the small but popular pub down the corner to the buffet restaurant at the hotel, no modern restaurant can ever do without commercial dishwashers. It has been proven that manual washing is not only inefficient and can keep your customers waiting for their food, it also cannot match commercial dishwashers when it comes to providing a consistent level of cleanliness. Sponges, brushes, and scouring pads can also be sources of contamination. So, before you buy, rent, or lease one, read our guide below on how to choose the best commercial dishwasher for your busy kitchen. 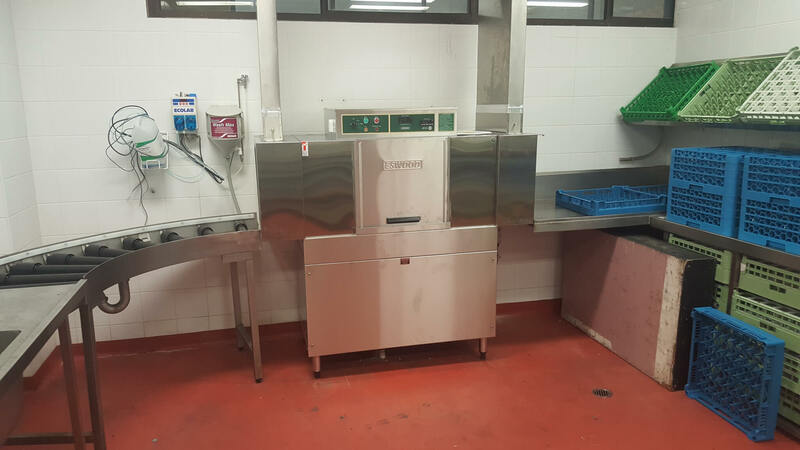 If you own or manage any of the establishments mentioned above which needs to process large volumes of tableware, then the conveyor-type dishwasher is designed exactly for your operation. These machines can be quite large so you need to ensure that you have the space available in your kitchen. 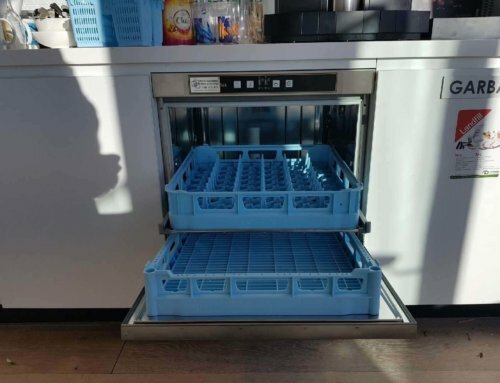 Although the initial cost of investing in a conveyor type dishwashers is higher, you will be able to save more money for utilities and detergent in the long run as it can wash more racks than your average warewasher within an hour. Pros: High-performance dishwasher for large-scale operations; fast yet thorough washing; easy to operate. Cons: Not ideal for small or midsize kitchens; as a larger initial cost outlay is required than regular warewashers. 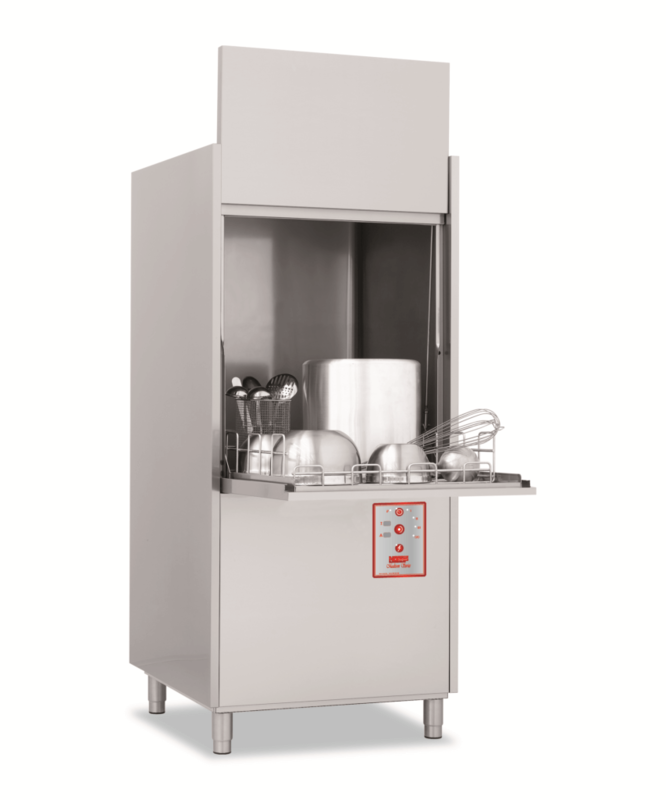 These dishwashers are versatile and are ideal for different food service operations. Pass through dishwashers are available in inline (straight-through) and corner installation. The configuration that is ideal for your kitchen depends on its layout and size. If you have a relatively large kitchen, a pass through type dishwasher with an inline configuration is recommended. Benching will be required on each side of the dishwasher for loading & unloading the racks. 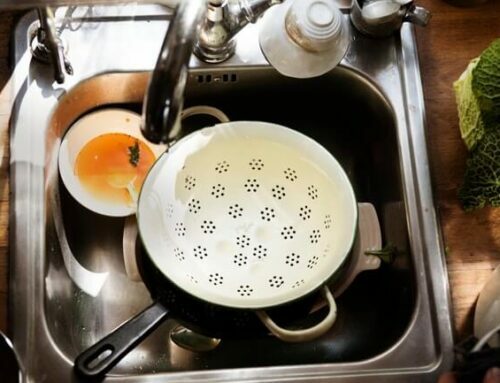 Racks with dirty dishes can be loaded and unloaded from right to left or vice versa. For smaller kitchens, you may require a corner installation. 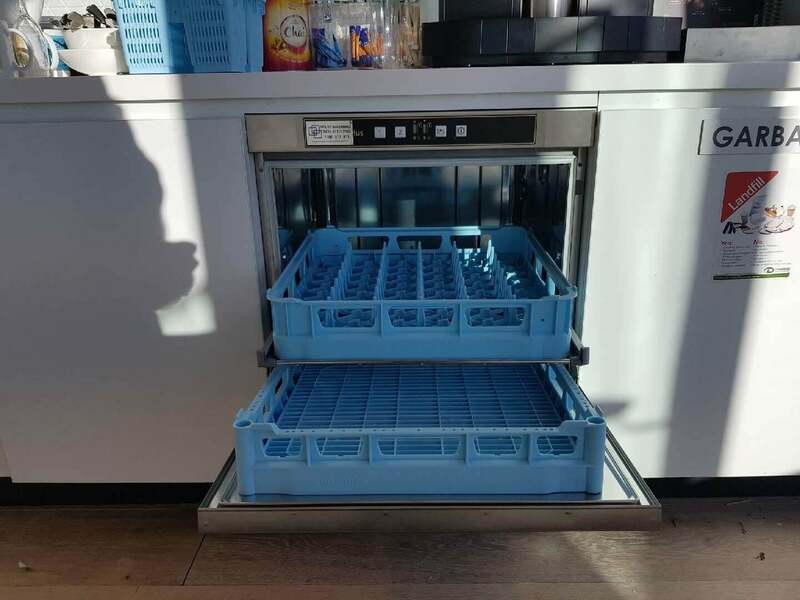 With corner installation dishwashers, racks are loaded at the front and unloaded to the side. Benching is still required at both entrance and exit to the machine. Pros: Easy to operate; heavy-duty; fast operation. 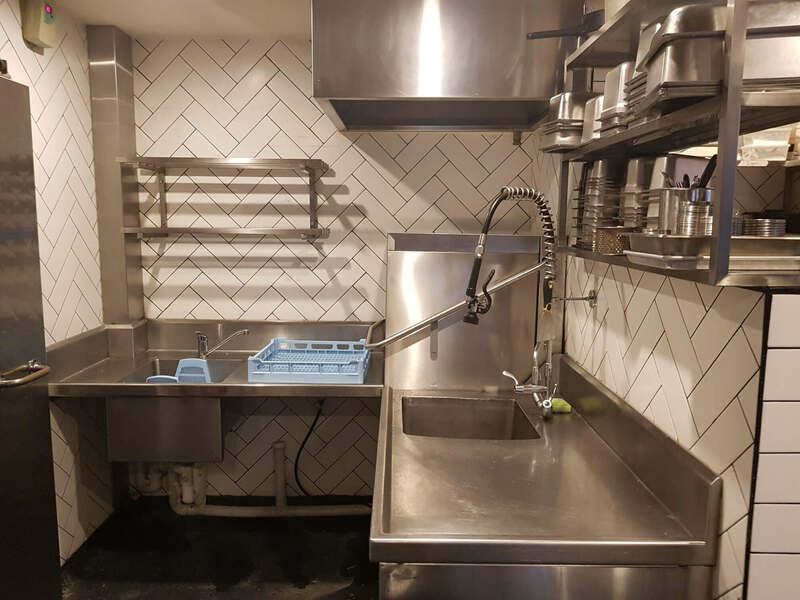 Cons: If not already in place, you will need to fit stainless steel shelving at inlet and exit of the pass through dishwasher for optimal use. Under counter dishwashers are perfect for smaller kitchens or counters where there is not a lot of floor space, such as pubs, bars and cafes. This type of warewasher can clean up to 30 dinnerware at a time so a small establishment always has clean dishes. Although under counter dishwashers appear similar to residential dishwashers, the fast cycles of a commercial dishwasher allow you to clean more dishes, glasses, and cutlery in a shorter span of time compared to a domestic dishwasher. Ideal for: Establishments where alcoholic and/or non-alcoholic beverages are primarily served (pubs, bars, and clubs). A glasswasher is a type of commercial dishwasher that is designed for bars, pubs, and other such establishments. 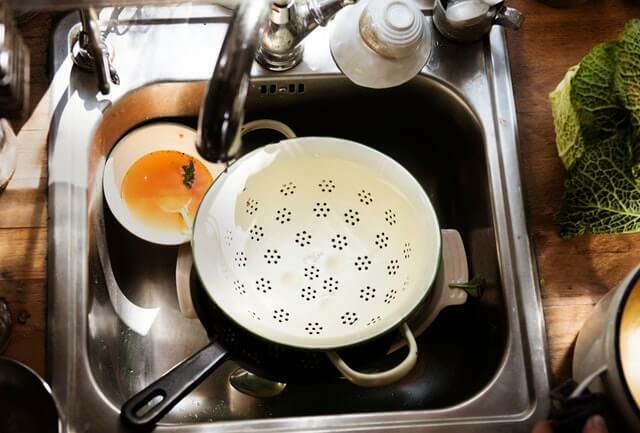 Although some can also be used to wash dishes and cutlery, many are designed to wash delicate glassware that might be damaged by a heavy-duty commercial dishwasher. This type of commercial warewasher is often more affordable than regular warewashers. They can be installed in a small kitchen or placed under the counter for easy access. Pros: Created specifically for glassware; ideal for small spaces; affordable. Cons: Small capacity—some of your larger plates and even pots and pans may not fit inside this type of dishwasher. Utensil washers are heavy-duty warewashers that are designed with high clearance to handle bowls, containers, pots, utensils, pans, trays and even bins. A large plastic basket can even be fitted inside the largest utensil washers. These heavy-duty dishwashers are perfectly suited for caterers, hotels, hospitals, and other large commercial and industrial establishments. Pros: Large clearance which allows it to handle tall and wide pots, pans, and trays. Cons: More expensive than other warewashers; not ideal for smaller kitchens. It can be easy to get carried away and use a portion of your capital to buy a fancy conveyor type dishwasher right now. Think big, right? But if your operation is still in its infancy, it is not a great idea to insist on fitting an oversized dishwasher in a small kitchen. 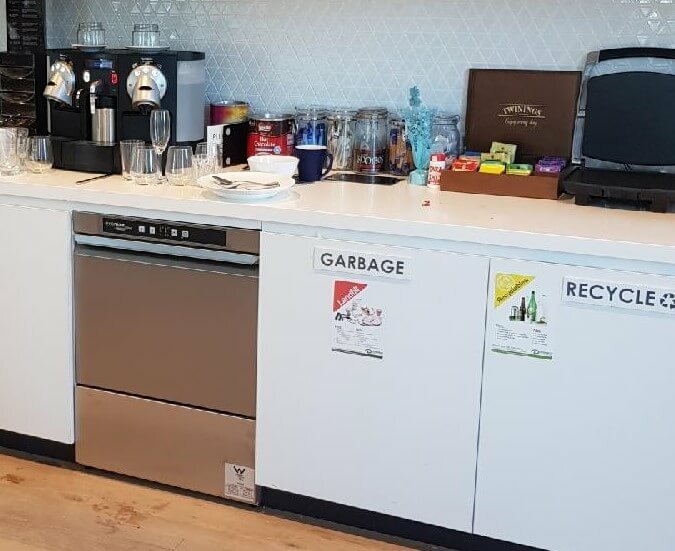 Apart from consuming a lot of electricity, water, and detergent, a bulky dishwasher will dominate the room and will likely get in the way of your kitchen staff. Likewise, do not scrimp and buy a tiny undercounter dishwasher if you own a fast food restaurant or a busy diner. It is likely that you will keep your customers waiting unhappily for their food while the dishes are still in the washer. Talk to your commercial dishwasher supplier so the company’s sales assistants can help you choose the right warewasher for your operation and your space requirements. Money can be an issue if you are just starting out or even planning to upgrade your business. 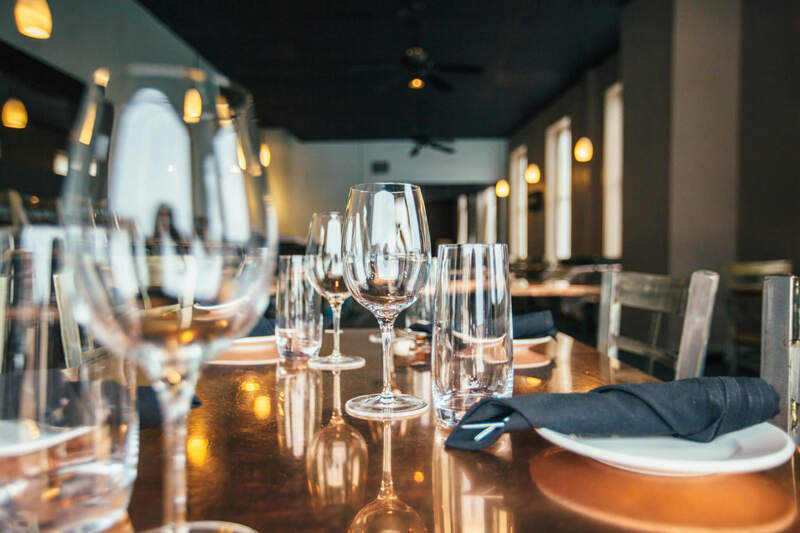 Prevent budget issues and cash flow problems by selecting an affordable yet perfectly suited commercial dishwasher for your establishment. If you own a bar or a pub, it will make sense and you’ll save money if you buy an affordable glasswasher or undercounter dishwasher. If you have a high-volume establishment and you need to upgrade to a conveyor type dishwasher, it’s better if you shop around first and look for the most affordable machine you can find without overspending. Buying a commercial dishwasher is sometimes not the best option for many businesses. 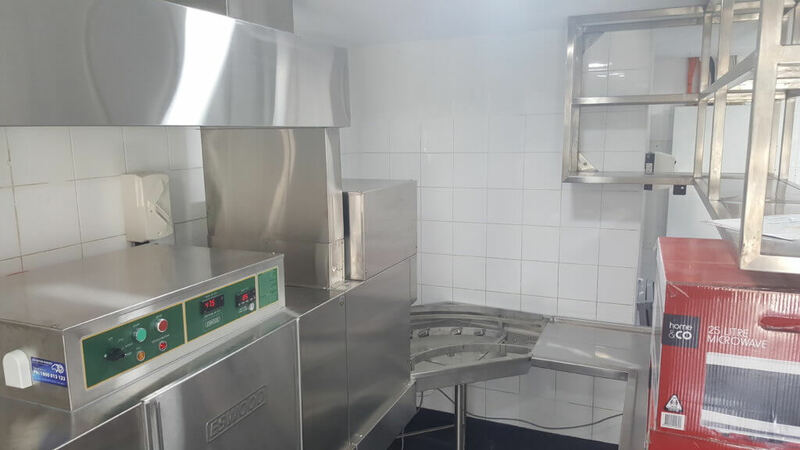 If your budget is a bit tight right now but you desperately need to upgrade to those pass through / hood type or conveyor type dishwashers, you can choose to lease or rent them instead. Contact your commercial dishwasher supplier to check if they have a rental or lease program in place for clients like you. You might be keen on buying that sleek, sophisticated, and expensive dishwasher you found online, but is it foolproof or is it loaded with bells and whistles? When shopping for a commercial dishwasher, consider the people who will be using it every day and their workflow. Machines with well-designed and easy to understand buttons or digital displays are perfect for any kitchen. 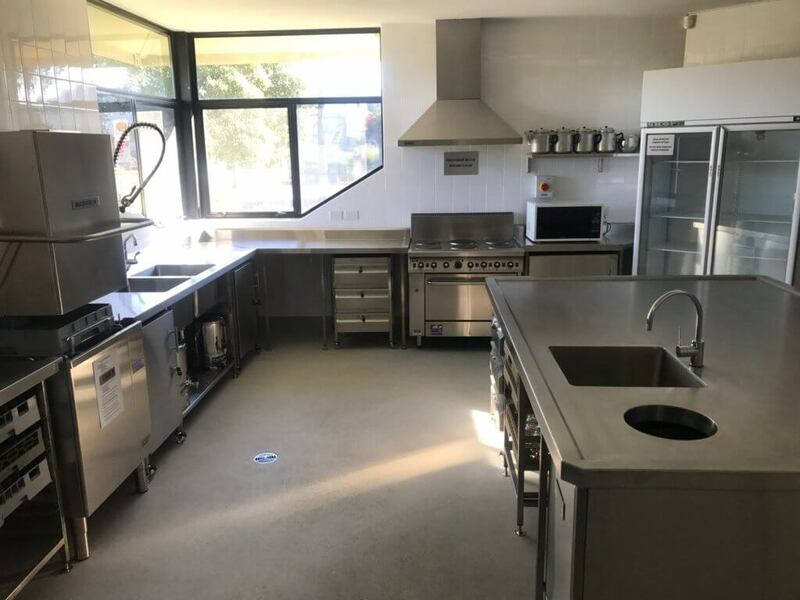 You can also increase efficiency in the kitchen when you choose machines which will prompt you when the water needs to be changed or will indicate the temperature or when it should be cleaned or delimed. Most Commercial dishwashers require 15 Amp or 3 phase power. That’s why it’s important to ensure that you buy, rent, or lease the right machine for your operation. Talk to your electrician and plumber before buying or leasing a commercial dishwasher to ensure that the machine will not cause electrical system overload and will meet your local drainage requirements. Something to remember – not all dishwashers suit all sites or situations, just because a particular model works brilliantly at one site, does not mean it is the best model for a different site. Water, power, drainage, menu, staff and site can all play major factors in getting the right equipment for your particular site and situation. Get in touch with us today or call us to discuss your situation/needs further on 1300 217 411. 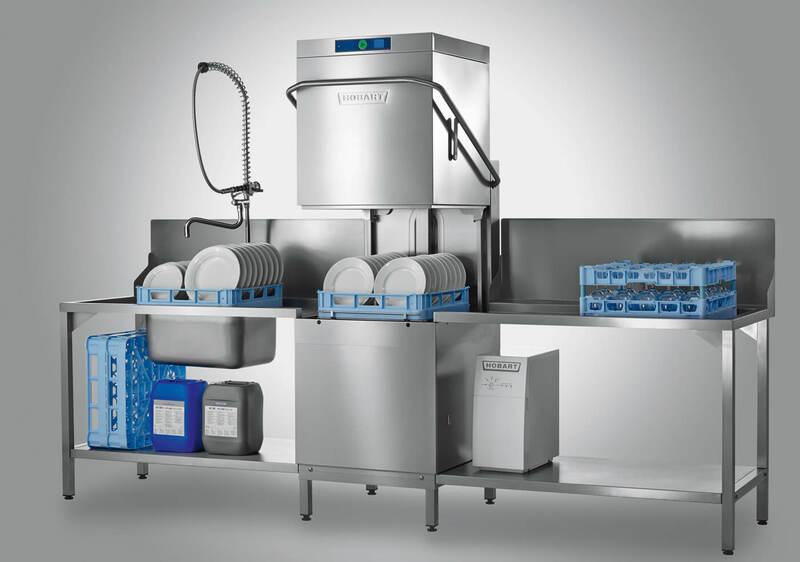 Why are Commercial Dishwashers Important for Restaurants?